SME stands for small and medium enterprise. They are small firms, generally independent, with few employees. They could be a start-up or an organization ranging from as little as two employees to twenty employees. The union budget that was presented on 1 February, was like a Pandora’s Box opened for small and medium enterprises. It was full of tax benefits and surprises for them.Top ways to save taxes for SMES. Today, the tax structure, not only in India but in countries across the world also has become more complex than ever before. It propels the need for a tax expert but certainly small enterprises cannot spend lavishly on these professionals. Thus, if you do not save taxes or find ways of save taxes them, you end up paying more to the government. One such benefit that was announced in the budget was the presumptive tax scheme. Section 44AA of the Income Tax Act, 1961 dictates that any person engaged in any kind of business must regularly maintain books of account. 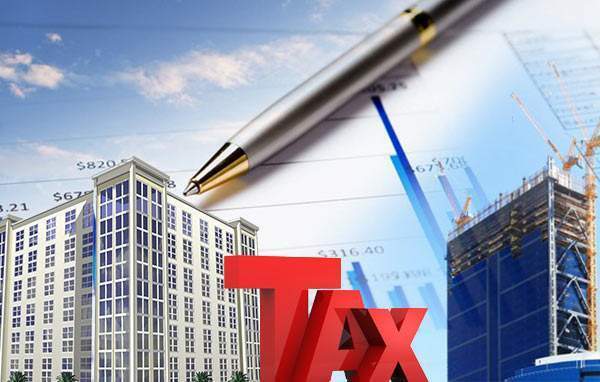 But, a person under the presumptive tax scheme can be relieved of keeping his books of account if he declares an income at a prescribed rate of 8 percent. And if the income earned is higher than 8 percent than a higher rate can be declared. From an existing ceiling of 1 crore, this scheme now covers businesses and enterprises with a gross income of 2 crore. It also covers professionals with an income of up to 50 lakhs. The burden is further minimized by allowing to enterprises to pay advance taxes by March 15 of the financial year. Earlier, this was limited to paying advance taxes in four installments. But this comes with a responsibility as the taxpayer must remain in the scheme for 5 years to avail the benefits. This is the best time to start a small business enterprise as the tax benefits are innumerable. Going digital is one of them. If your annual turnover is 2 crore and if your transactions are tax based, you will be charged 8% taxes. However if 40% of your transactions are tax based then only that 40% will be taxed at 8 % while the rest 60% will be taxed at 6%. If you are 100% digital with an annual turnover of 2 crore, you end up saving rupees 123600 in taxes. Going digital, or to put it another way, going cashless will save you from demonetisation woes. It will help you keep all your documents in one place rather than looking out for it, when need be. It will also ensure faster and safer transactions. This is one of the most common mistakes that small and medium enterprises make. If you don’t separate your business and personal finances, you will complicate them and perhaps end up paying more taxes. Have a separate bank account and credit card for your business. Keep an account of your finances, note it down in a ledger and spare yourself the burden of paying more. To carry forward your losses on business income, file income tax returns on time. The income tax department has been suggesting people to file their returns on time but many have been taking it for granted. For a consecutive period of eight years, you can carry forward business income losses and set off against next year if it not set off against the present year. But if income tax returns are not filed on or before the due date, you lose these benefits of carrying forward the losses. Therefore, keep in mind the dates of filing income tax returns and file them on time. Since most of the businesses in India are labor intensive, proper recording of cash is a must. Unorganized laborers are mostly paid in cash and indirect wages such as factory floor account for at least 40% of manufacturing expenses. If there is an improper recording of payments, it will reflect a higher income, making your business more liable for higher taxes. A register containing all details with thumb impressions of laborers and the time of entry of data must be noted. It will help small enterprises save taxes. Municipal taxes are often paid in cash by businesses, while a copy of the receipts declaring the same is not maintained. But by paying municipal taxes by cheque, you can maintain its record even if you lose the receipt. Because, a payment by cheque will be reflected in your bank statement. Municipal taxes paid then can be claimed as a deduction of income from house property during a particular year. Under the 35AD of the Income Tax Act, 1961, a manufacturing enterprise can get additional depreciation and other multiple benefits. For example, if a manufacturing enterprise installs a new machinery during a certain year, these units are eligible to claim depreciation of up to 20%, when the machinery is put to use, in addition to normal depreciation. This was to encourage the private sector to invest in infrastructure such as highways, hospitals, etc. An accounting software such as QuickBooksOnline helps you simplify all your income and tax processes. It helps you track expenses and revenue throughout the year. Once you enter all the valid details on income and expenses, it is only a matter of minutes to prepare financial statements. Income tax does not allow cash payments made to a single person above Rs 20,000 in a day. Hence, avoid making cash payments. Rather, if you want to make high amount payments, make it through cheque or draft. There are exceptions to this rule where it does not apply. The best way to ensure save taxes is hiring a professional who can guide you in all aspects of taxes. However, for small and medium enterprises the above mentioned points can serve as a solid guideline to derive tax benefits and save taxes. Next articleHow home loans save taxes? Thnx for this this really help me alot.This blog is really helpfull for us to know more about ways to save taxes. This tell us everything that we should know about ways to save taxes. This is like a algorithm to fill taxes becaute it tell us step by step how we should fill taxes and yes it is also easy to understand. It tell breifly and accurately about taxes. The best thing about this blog is that we can get every information hear only. we shoud not go on different side to search about itr. It’s really great that u take initiative to tell people about this and your way of representation of thought is really good.We can understand out problem very easily and get our answers faster.Great keep it up. This blog provide efficient description on existing issue that is in today, the tax structure, not only in India but in countries across the world also has become more complex than ever before. It propels the need for a tax expert but certainly small enterprises cannot spend lavishly on these professionals. Thus, if you do not save taxes or find ways of saving them, you end up paying more to the government.and here it contains detailed information regarding saving taxes for small and medium enterprise.Great work by ITR team it really nice to explaing everything about taxes. It touches each and every corner of tax and its related branches in a neat and aligned manner. Great work this blog has really helped me alot. This really helps and tells a process that is required to fill up an Income tax return. This blog tell us step by step how we should fill taxes and yes it is also easy to understand. Each and every details have been mentioned in simple and clear language. This article is very informative that should be understand in very easy way and there will be highlighted all the important details that may required for this like- If there is an improper recording of payments, it will reflect a higher income, making your business more liable for higher taxes. A register containing all details with thumb impressions of laborers and the time of entry of data must be noted. It will help small enterprises save taxes. this explain alot about the recording of payments, It propels the need for a tax expert but certainly small enterprises cannot spend lavishly on these professionals thanks for this information.